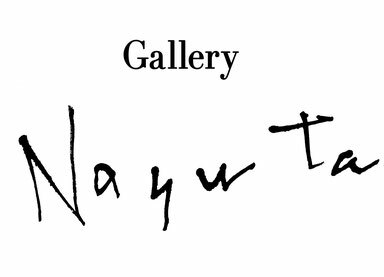 Gallery Nayuta presents the selected works by 4 artists from the studio where fresh art is born every day. Drawings by Kenji Ogushi are like poetry thickly covered with crayons. Wonder flowers of Naoki Hakuta grow freely and bloom wildly. The minimal artist Shinya Kaneko makes indefinite forms by his grip on lumps of clay. Behind the dense accumulation of languorous lines by Yuuki Yanai may hide fragments of a nightmare. Welcome to our gallery to meet the four’s own brilliance and fundamentals of living.